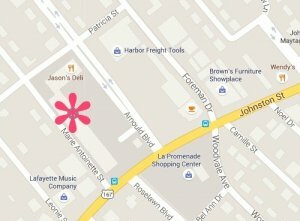 We have been looking for a new embroidery club and finally found one we LOVE! 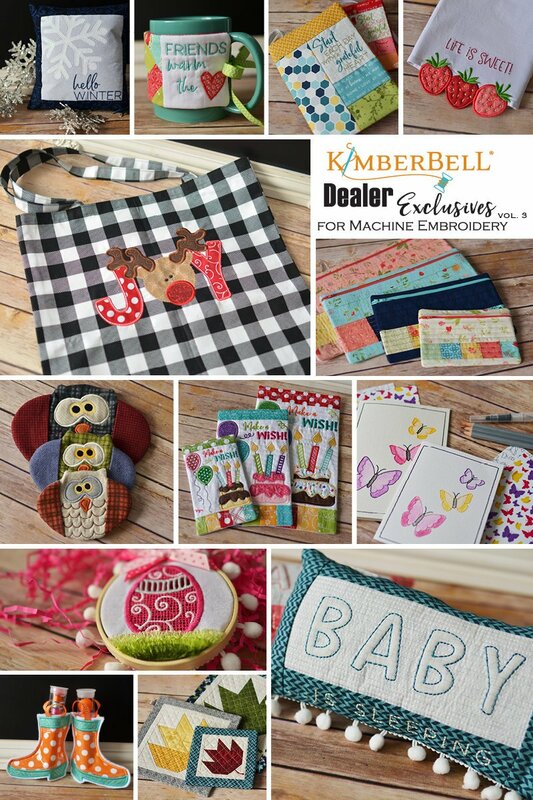 We will now be hosting KimberBell's Dealer Exclusive Monthly Embroidery Club. 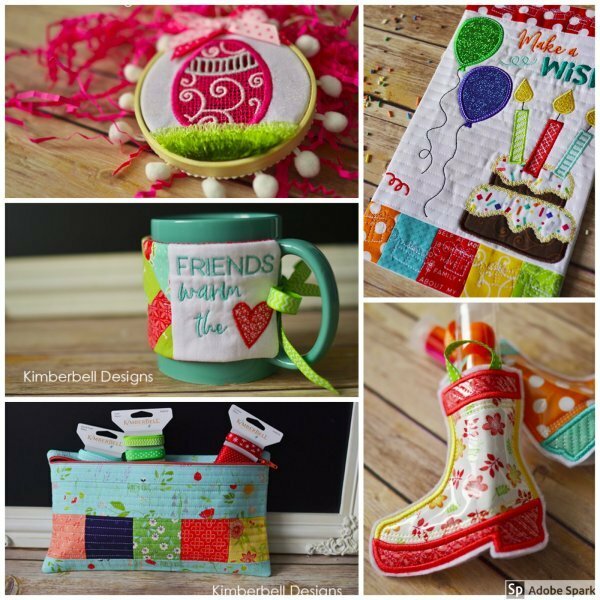 Each month will feature a new project using techniques like over the edge applique, quilting, cutworks, piecing in the hoop, and many more. You have the option of paying by the month for $20/month (includes kit). The kits will include the fabrics, stabilizers, and any small bits that you need to complete the project. You will just need to bring a USB stick, your machine, embroidery thread, and other necessary notions. If you want to signup for the entire year, you'll get your kits for FREE plus receive a bonus 13th project. Bring your embroidery machine (any brand) and we'll work through the project together. Or you can just come and watch as we demonstrate the technique. You must be able to pickup the designs in the shop. Required threads and any extra notions needed for that month will be emailed to you prior to class.